Noel O'Neill returns with his third play in the riotous "Greek series". 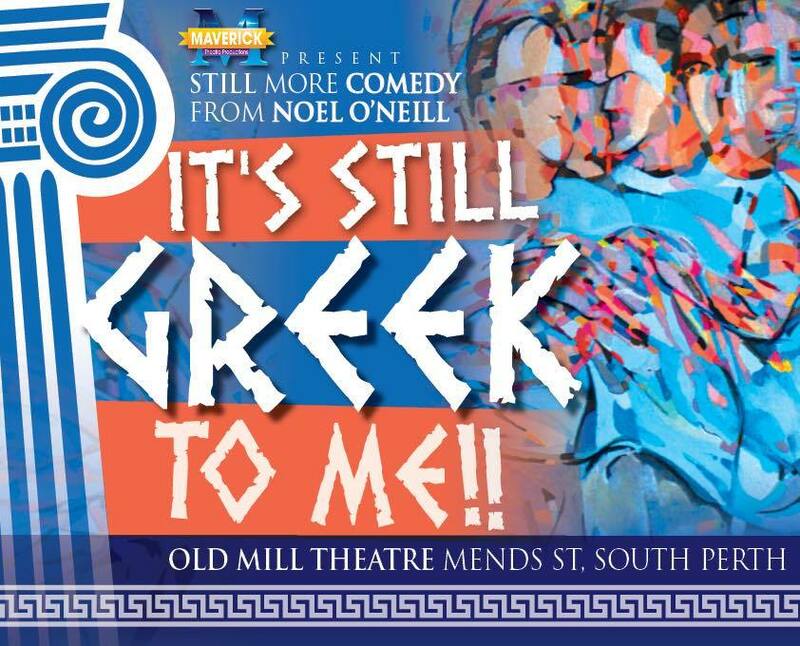 It's Still Greek to Me opens at the Old Mill Theatre in South Perth on Thursday 23rd of August 2018. If you have seen a play by Noel O'Neil, especially a comedy, then this is the show for you. The play is a hoot that everyone will leave smiling. In this production, which is a follow on from the last Greek production from Maverick Theatre, we revisit the crazy London based Greek Pilankous family and laugh with them, and at them, as they continue, despite appearances to the contrary, as a close and loving family. The strong-willed, colourful and loving characters produce even more humour than the earlier shows. Many of the cast from the last productions return, including Cameron Leese and Vivienne Marshall. Some new faces will be taking to the stage too, to create new characters for the audience. This time we might be for a surprise, as Nicky, a returning character with his hilarious lack of conscience, tries to change his spots and leave his philandering ways behind him. Nicky's challenge is tough though, because this time his beautiful and saucy girlfriend, Alexia, a surprising relative, makes an appearance rather than just being hinted at. Author Noel O'Neill and his very experienced cast bring a wealth of comedic entertainment and beautifully showcase Noel's witty repartee and clever insights into the human psyche. A really good, side-splitting comedy. When: Evenings at 7.30pm - August 23, 24, 25, 29, 30, 31 and September 1. Saturday Matinees at 2pm on August 25, and 26 and September 1.